Besides A4Desk, our team also offer more software or solutions related to web design or online maps. New! 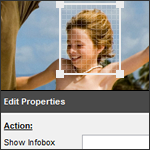 HTML5 Interactive Image Creator. Annotate floor plans for office, exhibition booth or mark up a diagram. The output is cross device supported. Generate statistical charts on maps is simple. iMapBuilder helps adding bubble or pie charts for you. HTML5 maps are viewable from desktop or mobile devices. 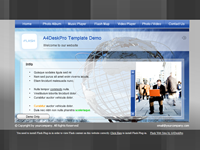 If you wish to display information using a map, you may consider our web based map creator. Maps can be easily shared or embedded to websites. Looking for editable world or country maps? Our software provides map templates you need. A useful tool for building store locator on company websites. Simply select a template to start building your own website. There are variety of theme design for different industries. You may customize the appearance using our software editor.